Map Icons adds custom icons to your normally blank maps! This addon, as the name suggests, adds map icons to many different maps that normally do not have one. 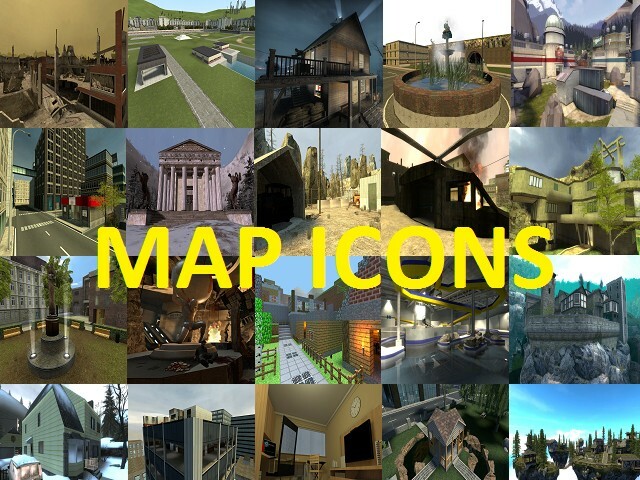 There are currently over 250 map icons in this addon. Whats a map icon? A map icon is image you see when selecting a map for single player, by default the icons are gray strips. Just simply unzip the mapicons folder and place it in your Garry's Mod addons folder.